Bedding Make your own bedding with sewing tutorials that will teach you how to make a duvet cover. For the DIY home decor style, check out the best sewing patterns on the web. Sewn Pillows Use these free pillow patterns to decorate your home the thrifty way. Learn how to sew pillows and pillow covers that will look great both inside and outside your home. Sewn Wall Decor Decorate your walls with free sewing tutorials. Sewn wall decorations are unique and trendy. Window Treatments Learn how to sew curtains and find tutorials for home made curtains. You'll find great instructions on how to make curtains and more of the best free sewing patterns on the web. Baby Blankets Learn how to make a baby blanket for your little one. You can learn how to sew a blanket with the best free sewing patterns on the web. Bibs and Burp Cloths Looking for tips on how to make baby's bib? With these free baby bib patterns you'll be confident in making them. Nursery Decor Decorating the nursery can be very exciting. Use some DIY ideas to create nursery bedding and nursery decor. Sewn Baby Clothes These free tutorials will show you how to make homemade baby clothes, including ideas for baby pants and free baby dress patterns. With these free sewing projects, you'll have the best-dressed baby in town. Sewn Hair Accessories Sew for hair with ideas for sewn hair accessories. Learn how to make a headband and more. Christmas Gifts Looking for great craft ideas for Christmas gifts? Check out the Christmas craft sewing patterns found here. For fun Christmas craft ideas, these ones can't be beat. Christmas Home Dec It's time to decorate your home for Christmas! Use the free Christmas sewing patterns found here to really spruce up the place for the holidays. Christmas sewing projects are festive and fun. Sewn Ornaments Make Christmas ornaments to decorate your tree using these free tutorials. You and your family will love making Christmas decorations to hang on your tree. Sewn Stockings If you've always wondered how to sew Christmas stockings, check out these free sewing projects and make your own Christmas stocking. Tree Skirts Sew a Christmas tree skirt pattern this holiday season and you'll be ready to put up your tree. Wearables Make clothes you can wear for Christmas this year. Check out the easy DIY Christmas crafts we offer here. 4th of July Projects Make great 4th of July projects with any of these holiday sewing patterns. If you're looking for holiday crafts you'll love these simple holiday craft ideas. Easter Projects Find easter projects to sew with these free patterns for sewn easter projects. Easter sewing projects are fun and simple. Find the best free sewing patterns on the web. Halloween Projects Find Halloween craft ideas from all over the web, from homemade Halloween decorations to DIY costumes. These craft ideas for Halloween are just what you need to get in the spooky spirit. Jewish Holiday Projects Give your latkes, matzo, and kneidlach a crafty touch with these Jewish holiday crafts. Find ideas for Hanukkah crafts, Passover crafts, and more from all over the web. St. Patrick's Day Projects Celebrate St. Patrick's Day with holiday sewing patterns. Thanksgiving Projects Thanskgiving crafts are just what you need to get your family in the spirit of showing gratitude. Learn how to sew a Thanksgiving table decoration and other crafty projects. Valentine's Day Projects Spread the love on Valentine's Day by sewing. Check out these free tutorials for Valentine's Day crafts, including ideas for gifts and decorations. Fall Projects Fall projects are fun and festive. Find the best fall craft ideas on the web. Spring Projects Find great sewing ideas including spring crafts, sewing ideas for spring garments, easy spring crafts and more. Summer Projects Find free summer projects to sew including summer crafts for girls, summer fun crafts and summer craft ideas. Winter Projects Find free winter projects to sew including easy winter crafts, fun winter crafts for kids and more. Follow these free sewing patterns for great instruction and successful sewing. Chair Slipcovers Instead of paying for expensive furniture, use your sewing skills. The chair slipcover patterns and sofa slipcover patterns found here can help. Sewn Placemats and Napkins Set your table with these easy sewing projects. Learn how to sew napkins and placemats for any occasion. You'll find ideas for holiday table settings as well as tutorials for everyday needs. Sewn Table Runners Find free table runner patterns here including quilt table runner patterns, Christmas table runner patterns and more. Learn how to make table runners with some of the best ideas out there. Book Reviews See our reviews of popular craft books. Product Reviews Popular craft products reviewed. Hand Embroidery Patterns Learn how to hand embroider with these free hand embroidery patterns. Find hand stitch embroidery patterns you can make and personalize. Machine Embroidery Patterns Use these free machine embroidery patterns to create lovely one-of-a-kind projects. 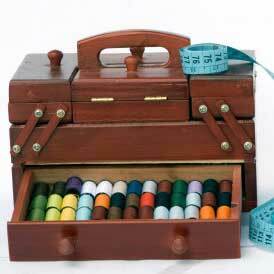 Find embroidery machine tips and machine embroidery projects you'll love. Adding Cuffs to Worn Out Baby Sleepers!